Each atom has a charged sub-structure consisting of a nucleus, which is made of protons and neutrons, surrounded by electrons. The periodic table orders elements horizontally by the number of protons in the atom’s nucleus and places those with similar chemical properties in columns. The repeating patterns of this table reflect patterns of outer electron states. Periods 2, 4, & 7- Complete Driving Question Summary Table– Complete the Summary Table on pages 68-69 for the Periodic Table Activities on pages 72-73. Key terms- Trim & tape parts of an atom definitions to page 75. Add page 75 to proton, electron, & neutron in Index. Atomic Diagram– Use the energy level model template and the “electrons” to build a diagram of an atom of the element that you are assigned. Cut it out and tape it to page 74 of your science notebook. Build An Atom PhET simulation- With a partner, use what you have learned about the structure of an atom to build an atom out of protons, neutrons, and electrons. Be sure that your atom is stable and neutral. What do you have to do to the atom to make it a positive charge? What do you have to do to make it a negative charge? Draw a sketch of your atom and explain where the protons, neutrons, and electrons are located. Explain why the atom was neutral and what you had to do to the atom to make it have a positive or negative charge. Have an enjoyable, restful vacation and come back ready to learn more science! Investigation– What makes objects attract or repel each other? Review Data Table- Use what you know about charges to explain your observations. Notebook– Trim and tape Introduction to page 71. Tape Activity investigation as a flip page to page 71. Add the following key terms to the Index- Atom, Proton, Neutron, Electron, Nucleus. 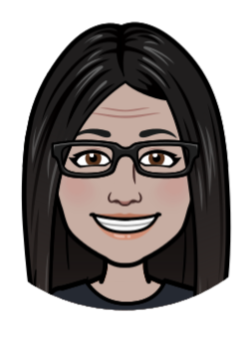 Do Now– Copy down today’s homework assignment in your daily planner; Get out the handout for the Build an Atom PhET simulation and enter Answer Sheet CFA#3 into the Google Form on Google Classroom. 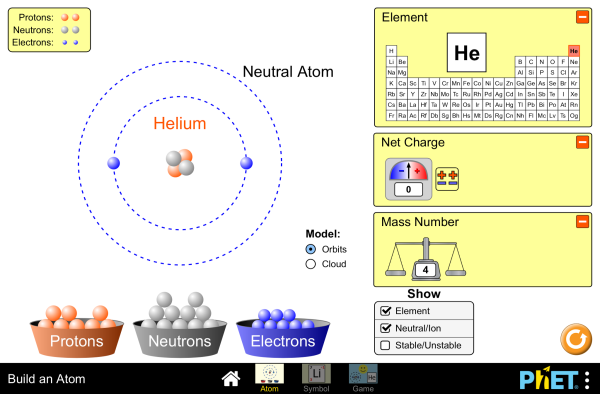 Simulation– Build an Atom PhET- With a partner, build an atom out of protons, neutrons, and electrons and see how the element, charge, and mass change. Then play a game to test your ideas! As you work through the simulation, complete the activity handout. Class will meet in the computer lab room A3/A5 today! Do Now– Head the “Pre-lab for Build an Atom” handout properly with your name and science period. With a partner, complete the “Pre-lab for Build an Atom” handout. Each partner should complete his or her own handout. Explore the simulation with your partner for 5 minutes. Begin building an atom and working through the handout.